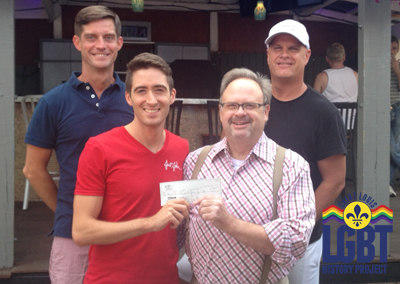 July 30, 2014: Just John's "Bachelor Auction" raised more than $2,000 to benefit the Project. Thanks to members of the Just John staff for agreeing to be auctioned as dinner dates at the July 25 event. Special thanks to Atomic Cowboy, Market Pub House, RISE Coffee House, The Cheshire St. Louis, Rehab Saint Louis, CJ's on the Hill, Three Monkeys, and Triumph Grill for donating gift certificates for the dates. The Project will use the funds to create educational displays and to preserve photographs, videos, and other documents. 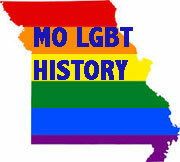 The Project can receive donations through its fiscal agent - The LGBT Center of St. Louis. For more information contact the Project. July 3, 2014: Get your paddles out - your auction paddles that is - for a special event. Just John is hosting a "Bachelor Auction" featuring some of the hottest guys in town. Proceeds from the auction will be donated to the Project. Don't miss this fun evening for a great cause. June 11, 2014: The Project will offer an exhibit celebrating St. Louis' first official Pride (April 1980) during this year's PrideFest set for June 28-29 in downtown St. Louis. The exhibit will feature rare photographic images taken by Jim Pfaff, Jim Andris, Judy Napier, and Wilbur Wegener. Other artifacts will include a 1980 Pride t-shirt, along with original paperwork and marketing materials. Several members of the 1980 Pride Committee will be featured in this year's Pride Parade. This is the third year the Project will have an exhibit at PrideFest. The Project's exhibit will be located in a tent directly across from Solider's Memorial in the grassy park area. The Project continues to seek volunteers to help staff the exhibit, as well as donations to help cover exhibit expenses. For more information please contact us. 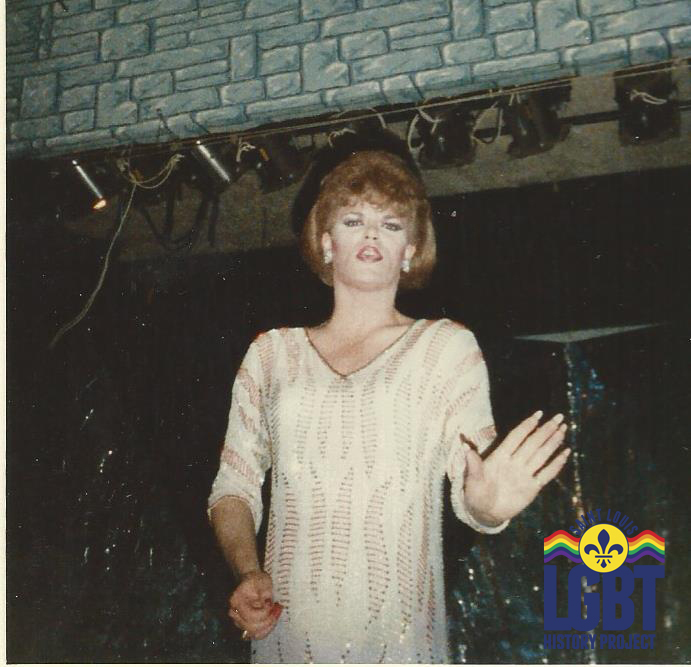 May 18, 2014: Thanks to John Hamblin for donating 20 fun images of 1987 Monte's bar drag performances by Georgia Brown, Candy James, Janice Price, Stephanie Monroe, Zsa Zsa Principle, and Jamie Renee (pictured). Monte's was on Jefferson near Highway 44 (where McDonald's is located). Please keep digging around your home for rare treasures such as these. Thanks again John.